Hello loves! Happy Pride! In celebration of the season (and the Toronto Pride Parade this coming Sunday!) 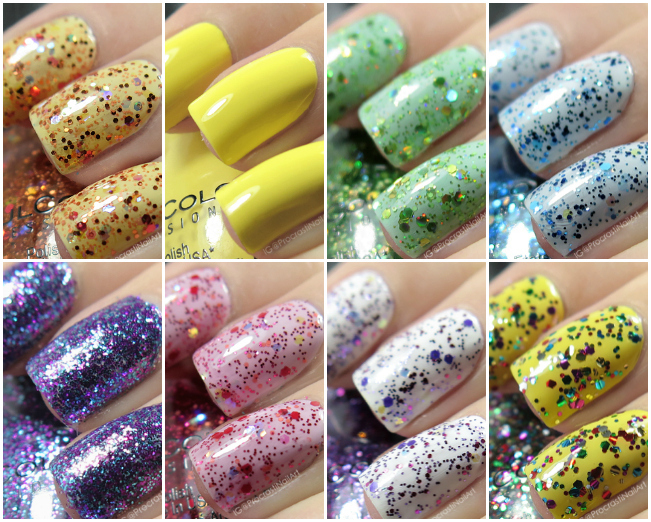 I have a super fun new collection to share with you from Sinful Colors. This is their Pride 2017 Collection and it is being released with inspiration from international singer and songwriter Era Istrefi! The collection has a mix of new and old shades but my favourites are the 5 new Limited Edition glitter polishes in a rainbow of colours. A shade for every mood! 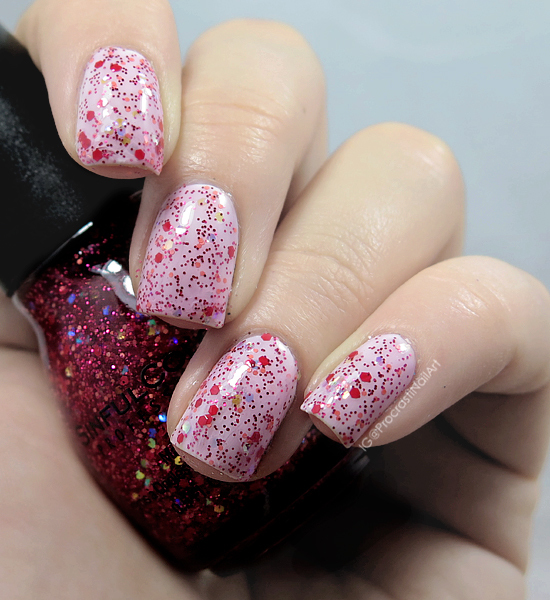 The first shade we have is Sinful Colors Bon Bons which is a red glitter in a pink jelly base. This is one of the new Limited Edition shades and one of the things all of the LE shades have in common is rainbow iridescent glitter! Fun! You can see a bit of a rainbow in each of the five new shades because of that which is really neat. 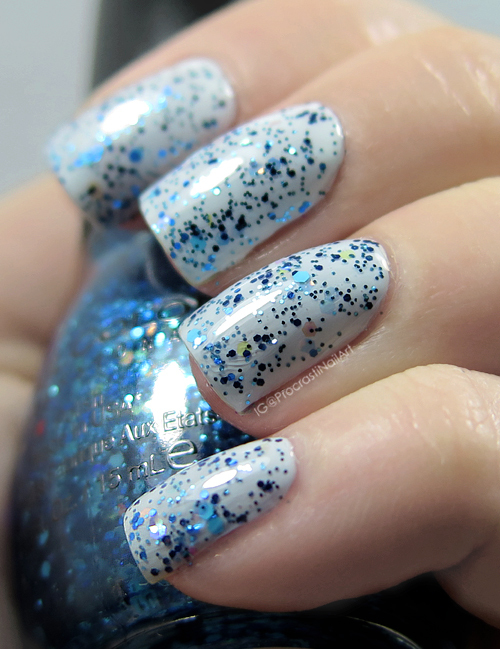 Pictured is two coats of Sinful Colors Bon Bons over a white base of Sinful Colors Snow Me White. 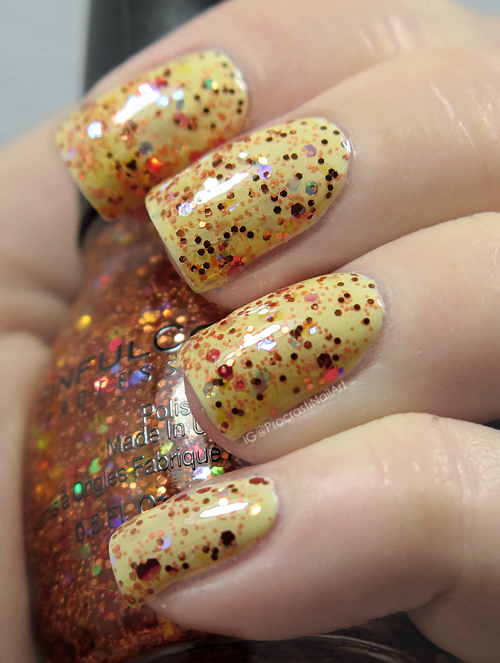 Sinful Colors Erotik is the next LE shade in this collection, and it's an orange glitter in a yellow jelly base with rainbow iridescent glitter scattered throughout. I'm really feeling oranges and yellows this summer so I think this might be the one I wear to Pride on Sunday! 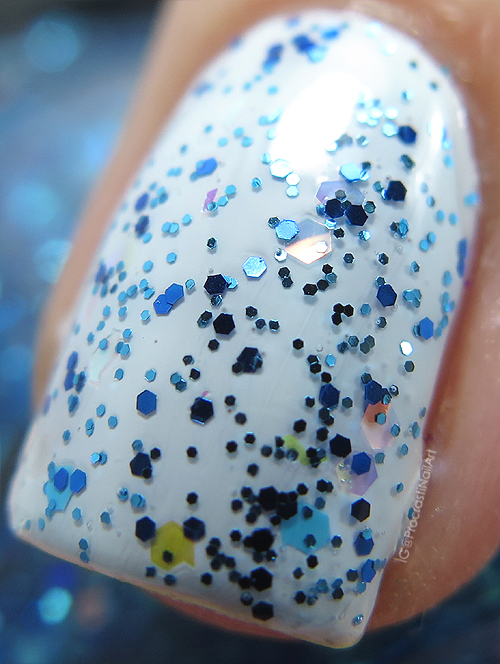 Pictured is two coats of Sinful Colors Erotik over a white base of Sinful Colors Snow Me White. Pictured is two coats of Sinful Colors Taste It painted over a base of Sinful Colors Snow Me White. 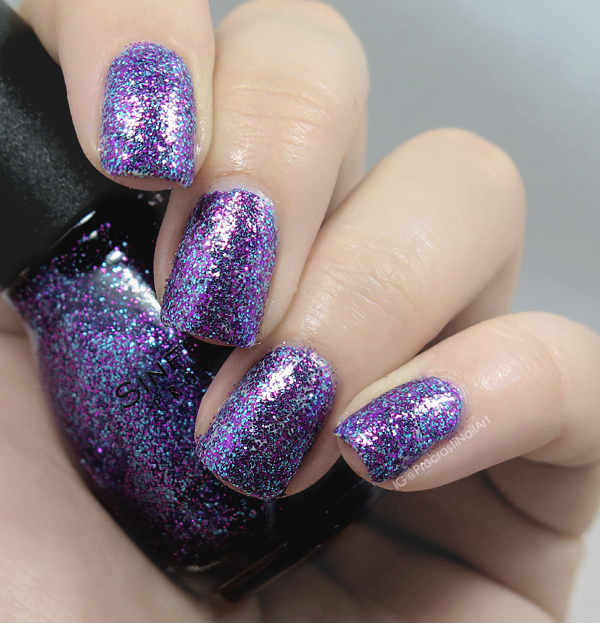 Sinful Colors Intergalactic is next! 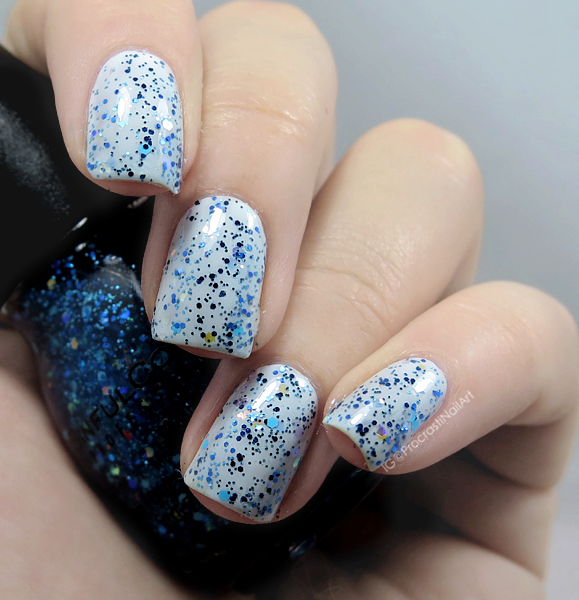 This is another LE shade for this collection and this one is a bright bright blue glitter in a sheer blue jelly base with rainbow iridescent glitter. 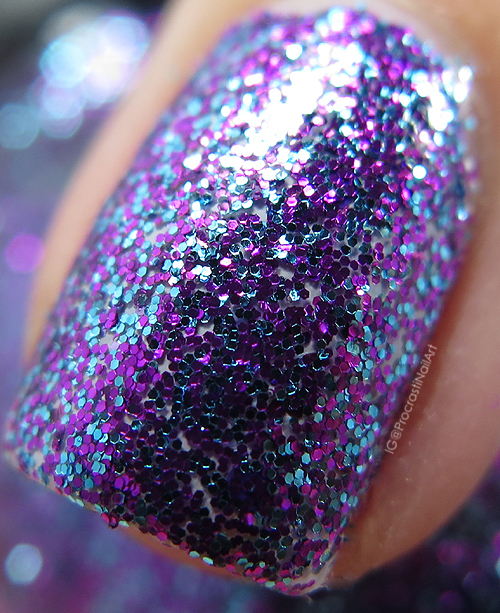 I think this might be a fun addition to a galaxy mani, though it could just be the name making me think that! 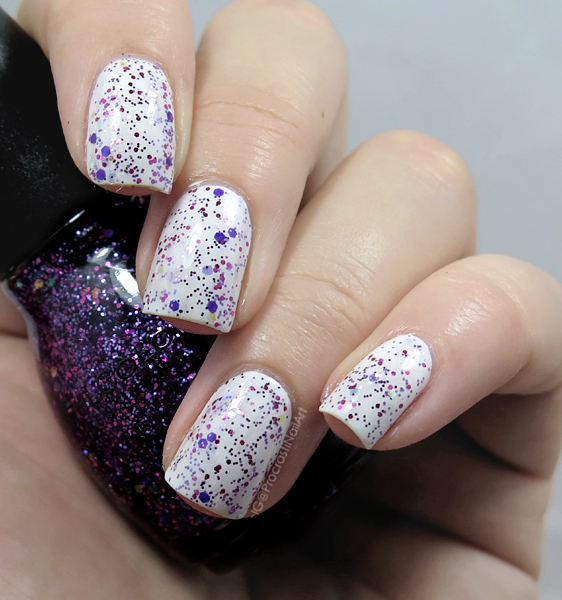 Pictured is two coats of Sinful Colors Intergalactic over a base of Sinful Colors Snow Me White. 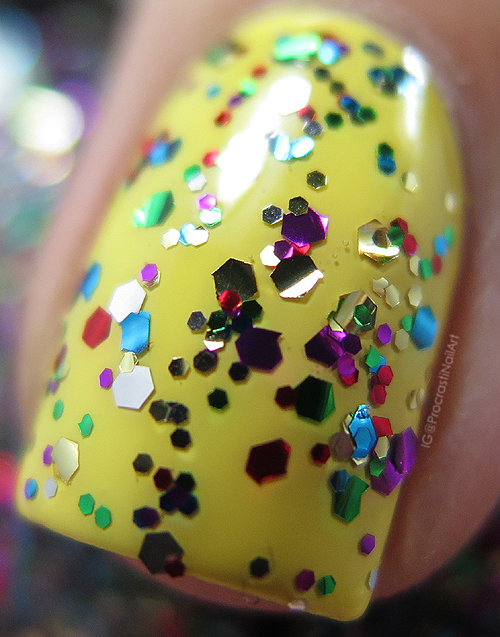 This is another absolutely favourite of mine from this collection - Sinful Colors Mani Per Money! 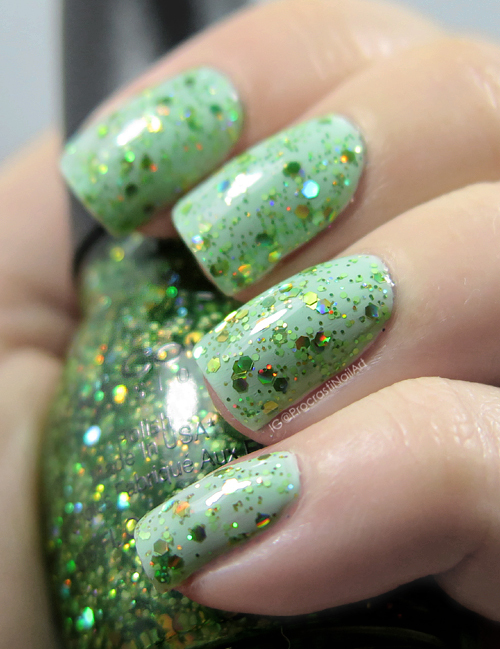 This is the last LE shade and it is such a vibrant green glitter, and the sheer green jelly base builds up really nicely. 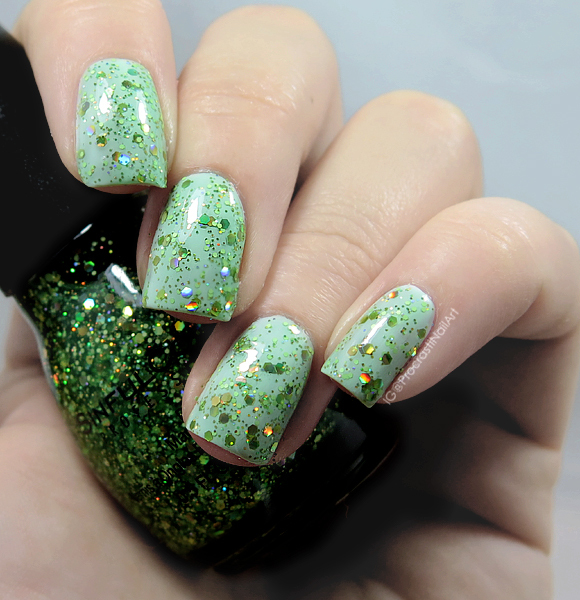 The large green glitter is made of holo foil in addition to the rainbow iridescent glitter so this one has a lot of bling! LOVE. Pictured is two coats of Sinful Colors Mani Per Money over Sinful Colors Snow Me White. This one is a turquoise and purple microglitter that you can build up to full opacity if you paint numerous coats or sponge it on. 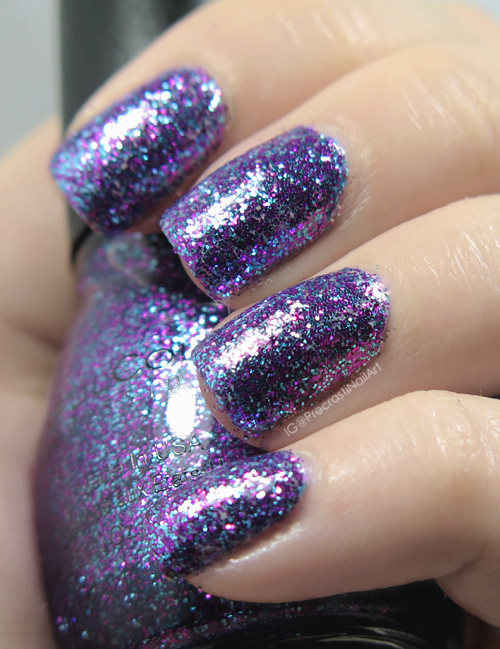 You could also just paint on one coat for a very dense glitter look, but I gotta say I like the full coverage look best! For this one I started with a base of Sinful Colors Snow Me White, and then painted on one coat followed by two sponged coats of Sinful Colors Frenzy. 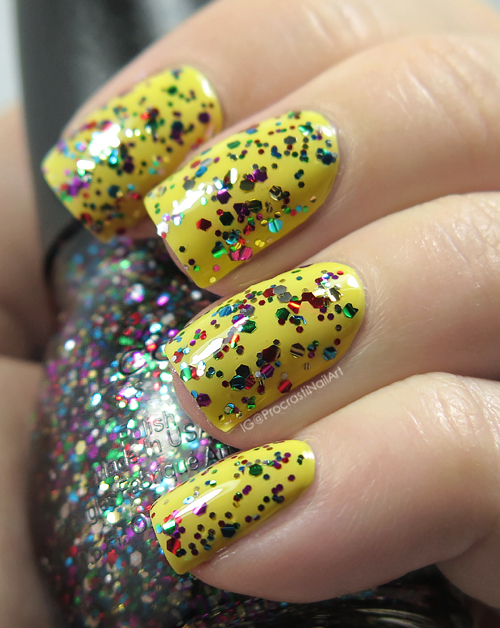 Seal it all down with topcoat and you're good to go! 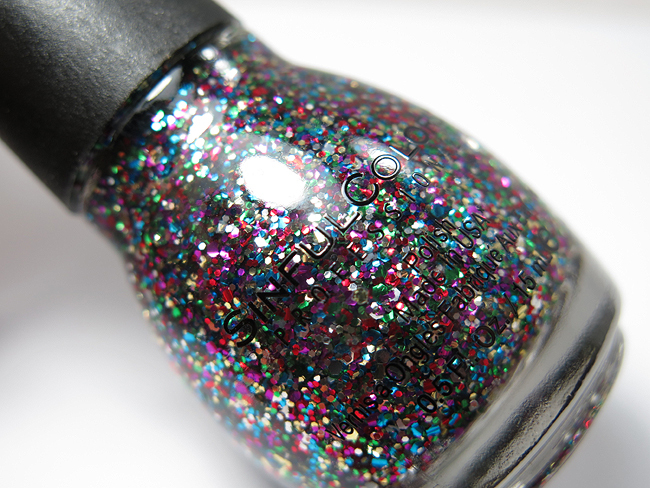 The last shade we have is my all-time favourite Sinful Colors polish - Sinful Colors Pride! I've worn this one to pride in years past, and since it's not a limited edition shade you can pick it up anytime of the year. 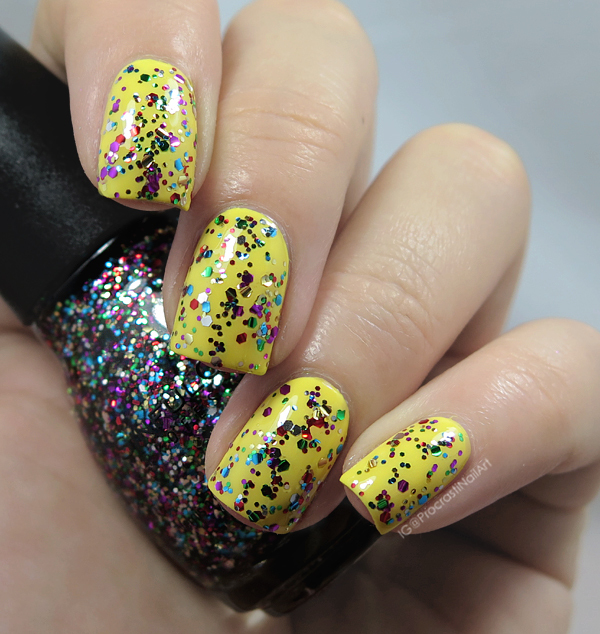 It's a super fun rainbow glitter topper and what you see here is just one coat painted on over a base of Sinful Colors Yolo Yellow. As I mentioned earlier this whole collection was launched in partnership with the singer and songwriter Era Istrefi, and the collection as a whole celebrates equality, love, and freedom of colourful self-expression! I know that you know that you want to pick some up to wear for Pride... Personally I'm torn between wearing my perma-love Sinful Colors Pride, wearing my new love Sinful Colors Erotik or wearing the bling-tastic Sinful Colors Mani Per Money! Which one do you think I should wear?? The new glitters look great. I hope I can hunt them down somewhere. I'm really hoping to avoid paying shipping by ordering them online. I heard a rumor that someone in Canada spotted them at Wal-mart. Some great swatches of these. 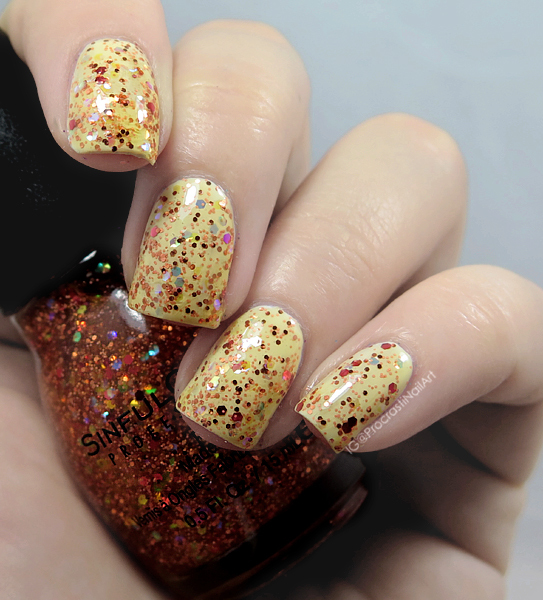 Loving those glitters. I'm loving all of the glitter toppers, so pretty! I am not getting these because I don't use glitter toppers, but I love that they are making this into a series every year! Yolo Yellow is so pretty and vibrant for this season.